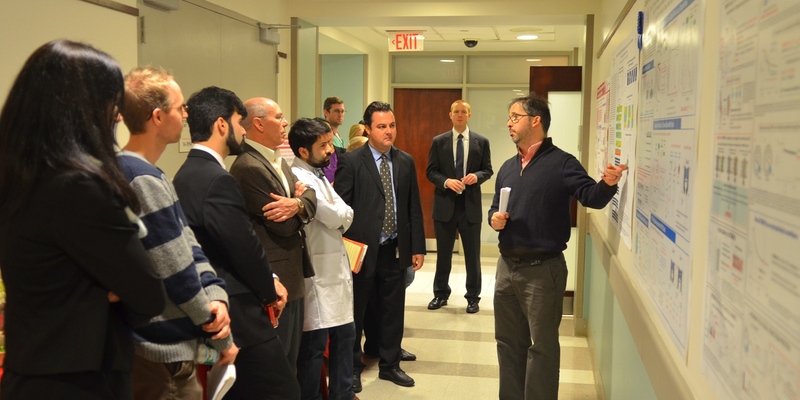 Dr. Alexander Proekt presents research findings at the 2015 Weill Cornell Anesthesiology Research Expo. Dr. Storer’s major interest is in study of the mechanisms of propofol induced loss of consciousness and amnesia. I am using computational modeling of a thalamocortical neural network to investigate how propofol affects cortical connectivity. Other work involves the study of gamma and theta rhythms in a hippocampal neural network to shed more light on how propofol prevents memory formation.